I've been on an avid self tanning kick. I swore off tanning beds for the past 2 years and I'm getting better at not sitting in the sun. I talked about most of this two weeks ago in my "Your Skin Is In" post and I couldn't wait to write THIS post. While I've since been into self tanning, this didn't come without some doubts. I saw that self tanning was a major trend in the beauty industry amongst my favorite bloggers but I was always really skeptical that I wouldn't be able to do it. I was afraid of turning orange or having it come out really streaky or getting it all over my clothes. I stopped myself more than once from experimenting with this foreign trend but when Vita Liberata sent me their pHenomenal 2-3 Week Tan Mouuse last summer. After one use, I was completely hooked. It wasn't streaky, it didn't smell bad, it applied evenly and smooth, and the tan was not orange. It didn't rub off on my clothes either. It was basically full proof and it was the tanning product I used all summer--I was self tanned more than naturally tan and I didn't hate it. 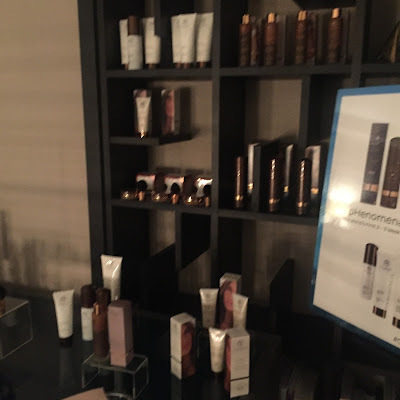 A few weeks ago, Vita Liberata invited me to a blogger event to introduce us to their Spring 2016 line. I was so excited to be there and I immediately wanted to tell everyone about it but it was very hush hush until the products were released! They walked us through the 3 new releases, along with their other existing products and it was really interesting to hear from the founder of the company, Alyson Hogg, all about why they created the products they did, and how they compare to existing brands. 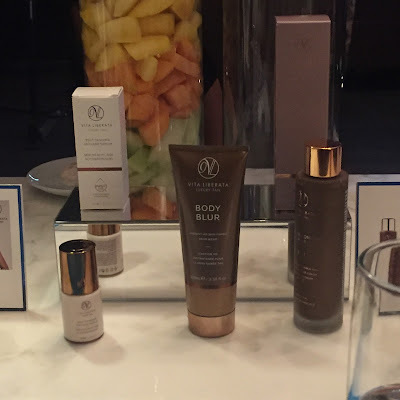 Vita Liberata was founded in 2003 and since then they have created countless self tanning products that center around the brand's main values: natural, odorless, pure formulations that give flawlessly perfect results! Vita Liberata is just one brand in the tanning industry but they have their own unique niche. They use a moisture locking system that ensures soft skin and a natural fade (no one likes a tan that fades off in ugly patches). They use organic anti age and all non toxic ingredients -- I'm not huge into all natural beauty but if something I really enjoy is safe for me, I'm more prone to use it! Probably my most favorite part of the Vita Liberata brand--quick drying application! I was really weary of the fact that I'd have to walk around naked in my house for an hour to let the tan settle but all the products dry instantly. We were able to try out all of the products as well as get a free spray tan. I got a spray tan and oh my goodness, it was the best spray tan ever. 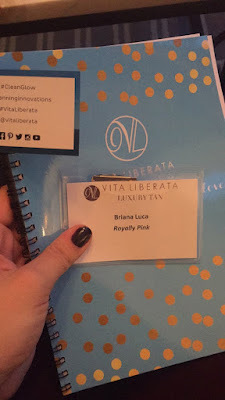 I've only gotten a spray tan once in my life and it was a miserable experience but this one by Vita Liberata was insane. It smelled good, felt good on the skin, was totally even, and didn't smudge. It dried instantly and I was totally sold. 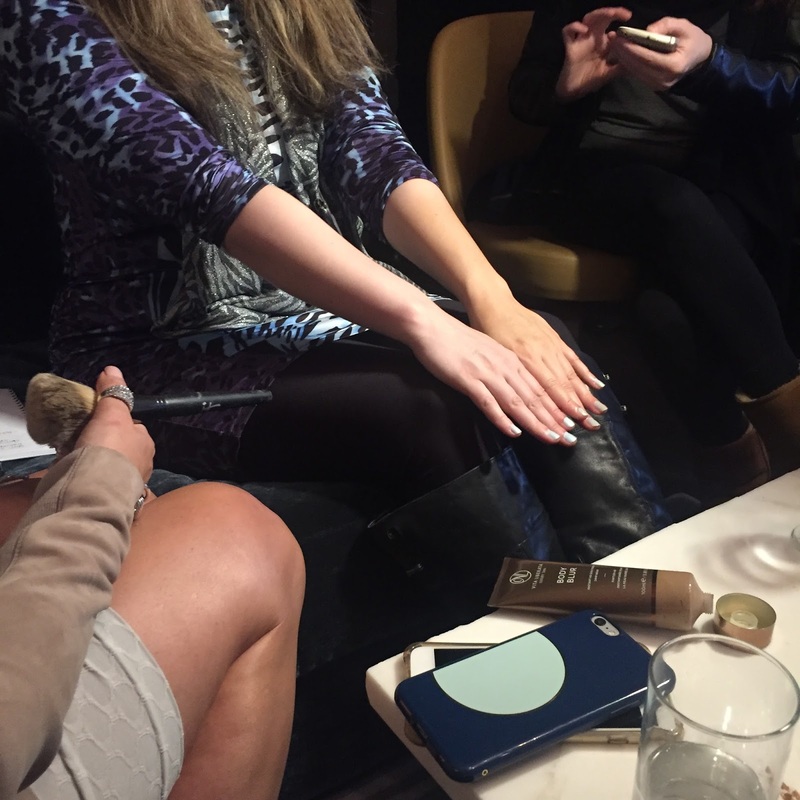 All the bloggers went home with goodie bags to try the the new items and of course that was my favorite part! 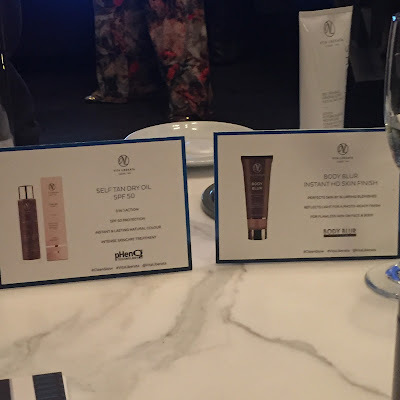 The three new products introduced are Self Tan Dry Oil SPF 50, Self Tanning Anti Aging Serum, and the Body Blur Instant HD Skin Finish. I haven't tried the Body Blur yet but I saw it in action (below) and the results are astounding. 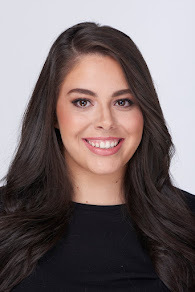 I use the Self Tan Dry Oil (which is such a cool product) and the Anti Aging Serum (OMG) and they are hands down, two of my current favorite beauty products. The Self Tan Dry Oil is exactly what it sounds like; it's a dry oil that contains SPF 50, which helps to moisturize and protect the skin. The oil has all the benefits of a Vita Liberata self tanner. It also has technology that allows you to build up the color gradually without being too harsh or dark. I have been using this in place of my original pHenomal Self Tanning Mousse. The Anti Aging Serum is something I didn't know if I'd enjoy but I had really been wanting to incorporate serums into my beauty routine. I'm glad I proved myself wrong because this is amazing. It really does self tan your face, in a very gradual way. I add around 2 drops to my fingers and apply evenly after my face is throughly cleansed. It contains cucumber extracts, rosehip oil, and other essential ingredients to help with hydration, reduction of fine lines, and wrinkles. The Body Blur is supposed to perfect skin and mash blemishes, while fighting sings of aging. It has photo reflective particles that give you a photo ready finish, all while providing you the benefits of all Vita Liberata products. I think this would be perfect to apply to your legs before a big night out when you're wearing a skirt or dress! All in all, these self tanning products are incredible. They self tan you to your desire while providing incredible skin care benefits. It's the best of both worlds! Shop some other Vita Liberata products below! Have you tried any self tanning products?